If you have been recently diagnosed with diabetes, you may be learning that blood sugar meters for testing your glucose are not all the same. On top of that, getting a blood sample to check blood sugar is much easier for some people than for others. Thankfully, there are options that can help with many of these common difficulties in testing. For a person with diabetes, a blood sugar meter, also known as a glucose meter or simply, glucometer, is an essential tool. When a device becomes a part of our everyday habits, qualities such as convenience, portability, and ease-of-use become important. Thanks to recent innovations, glucose meters have become smaller and smaller, fitting neatly into our lives and integrating with our technologies. What makes a good one for you will likely include these and other qualities. Familiarity can be an important factor when choosing a glucose meter. A manufacturer or brand you know and trust can be important for your selection. Recommendations from your health care team are also likely a factor in your choice, as is coverage offered by your health insurance. Coverage intersects with cost considerations, as well. Tracking your numbers is very important. You can now opt to do this yourself with pen and paper, or instead choose a glucose meter that will handle that storing and tracking task for you. When choosing a glucose meter, it is important to determine which features are most important for your needs. There are several differences between the glucose meters currently available. For example, while the majority of meters have the ability to download your test results to a computer, only a few have a backlight display. A backlight can be important if you often test your blood at night. Newer innovations also include convenient integration with your smartphone. One feature that is especially important to many people is the size of the blood sample taken. Blood samples range from a sizable 3.0 microliters down to a very small 0.3 microliter. A smaller sample is of particular concern for parents of children with diabetes. There are also meters that will check your blood sugar and your blood ketones. Other meters will check your blood pressure in addition to your blood sugar. Some meters have substantial storage of previous test results while others do not. So, finding the right blood sugar meter may start with determining your needs. The chart below lists meters that require only a 0.3 microliter blood sample, which is currently the smallest amount of blood and blood sugar monitor can measure. Only a handful of meters have this technology. If blood sample size is important, check out these blood sugar meters. As noted, there are many features available with different blood sugar meters, and your choice should be the one which best fits your particular needs. A small blood sample size is important to many people with diabetes and can be particularly helpful with children. 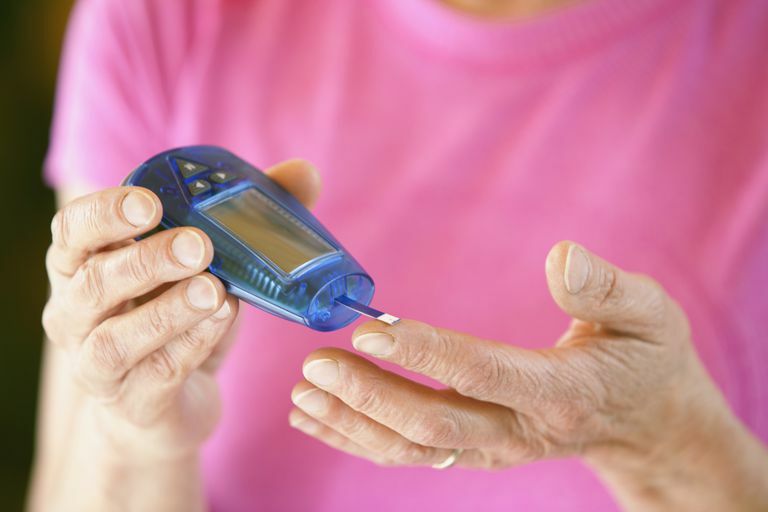 You may wish to review a few more tips on how to choose the best glucose meter for you. At this point, you probably have many other questions as well. For example, how accurate is your glucose meter? Where can you test your blood sugar other than your fingertip? And, how can you travel with diabetes? Learning as much as you can about your disease not only gives you confidence but can make a difference in the long-term management of your disease as well. If you're living with diabetes, you've learned how important it is to check your blood sugar levels, both to prevent complications and to feel as good as possible day-to-day. Yet, checking your blood sugar is something that enters your life many times a day. While you work to make sure your blood sugars are as level as possible, you want a tool that is as easy to add to your life as possible. What this means varies considerably among different people, and that is why this confusing array of different features are available on glucose monitors.